Now that Superman's no longer wearing his trademark red undershorts, in either the comics or movie versions, you might have wondered what's become of them. And apparently, they're in Malaysia, where they're a hot-selling item. For me, this could cause a bad influence among the community. 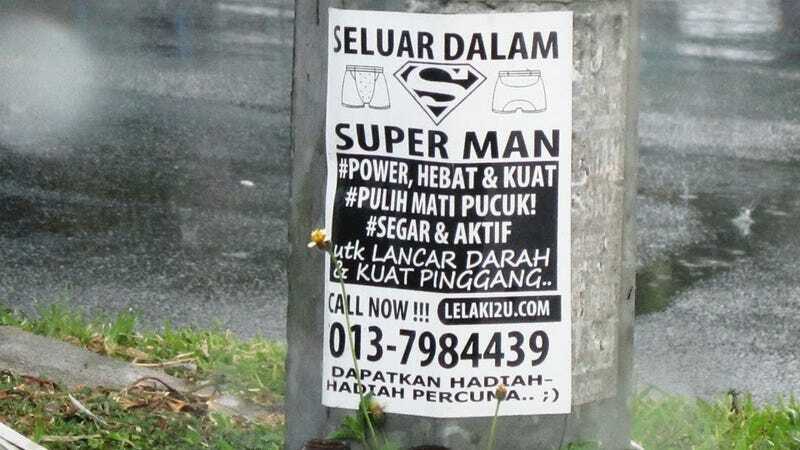 Superman fans, especially the men, could be duped into spending thousands of ringgit to buy the product with the assumption that they could gain special powers by wearing them. Samudin adds that it's inappropriate to use the Superman name to advertise this product which, after all, has nothing to do with Kal-El, or any of his powers. But at least now we know where Henry Cavill's missing red trunks went.